Called a story that is eternally retold, the Soul series has had quite a bit of success thanks to its assortment of interesting characters and the gameplay itself. SoulCalibur II was about the time that the series was starting to come into its own, so that seeing it re-released onto current gen consoles to follow in the footsteps of it predecessor SoulCalibur makes sense. For the re-release of SoulCalibur II however it goes another two steps forward with new HD graphics and the addition of online. So, do these make for a big enough improvement to the original game to be worth the time? Let’s look at how it holds up. Starting off with just Arcade that isn’t too heavy on story to be able to unlock Extra Arcade, the completion of which finally offers the closet mode to an actual story, even if it may not fit so much into the full Soul mythology. Weapon Master Mode offers an interesting story mode focused on a character on their own search for Soul Edge. While the Arcade modes are fairly short with only 8 fights, Weapon Master Mode takes it much farther with several chapters with multiple fights provided a much more in-depth story and experience. The continuing struggle of heroes and villains to oppose and possess Soul Edge is just as it was for the original console release of SoulCalibur II, though this time having both formerly console exclusive characters Heihachi Mishima and Spawn, but no Link for obvious reasons. In this way it is able to make for the most definite version of the game so far and give just a little bit for anyone that played the previous console release. Even after 11 years, the controls and how it plays is still able to hold up with current standards. The controls haven’t been tweaked all that much as the controller from the Xbox/PS2 to the Xbox 360/PS3 have not changed much with the exception of the black/white buttons for the Xbox controller, but with the bumpers replacing them makes it much more comfortable altogether. The balance of how the attacks works against each other works well with horizontal and vertical attacks instead of heavy and light, which fits much better with the melee weapons the characters use. 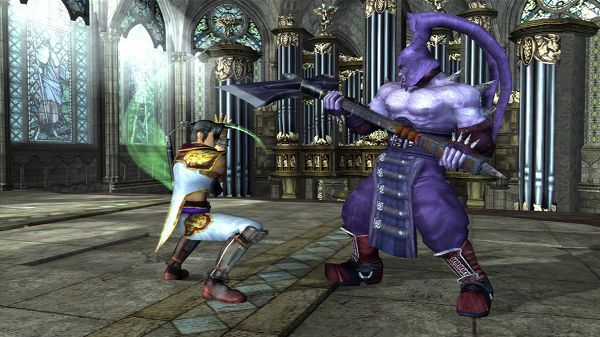 Starting out with just Arcade, SoulCalibur II kicks off with the actual “story” of the Soul series forefront, without cramming too much of the actual story and focusing mainly on the gameplay itself. 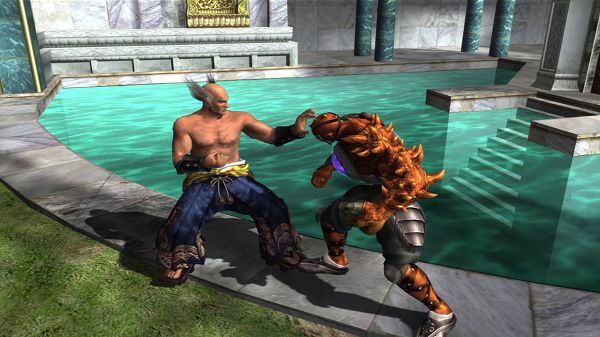 The game is also very forgiving with providing an unlimited number of continues for losing a fight, which can often happen against new opponents. After getting far enough, more of the story is inserted in the fight introduction and finishing off with a suitable conclusion for completing it as well as an additional mode. The Weapon Master Mode is where players can spend a lot of time while trying to unlock all the different weapons, costumes, and characters available to play. Across the stages in the different chapters, there are plenty of different tasks that are required to pass allowing a better chance to hone skills than just the Arcade mode. This not only offers plenty of things to do, but doesn’t get overly repetitive unless stuck on a specific stage with a specific task. Weapon Master Mode was probably one of the most played modes for SoulCalibur II outside of VS for its original release, but with the addition of Online this time around it serves as a pretty good in-depth tutorial for players to actually learn the skills necessary to compete against each other online. The online itself works fairly well, some issues can crop up if suffering from lag that can make matches frustrating, but for the most part it works very well when matched against those with an equally good connection. With all new higher definition graphics and character models the game does look better than its former release, but many seem like just higher resolution textures, though the characters are much smoother as well. Overall, the new visuals don’t quite reach just how good some of the later games did, but working with something 11 years old probably limits what can be accomplished. The audio however is able to maintain the quality that it did before, all the songs are suitable and the voice acting is fantastic. Though for this release only the English is available, so those that preferred to switch to the original Japanese are unfortunately out of luck. So, while the visuals do see a moderate improvement the audio remains the same, albeit with the exclusion of the Japanese. SoulCalibur II HD Online literally delivers what it states in the title. 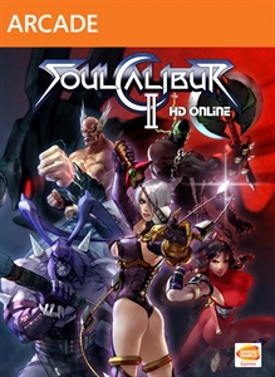 Improved graphics to fit the HD era of gaming, with the inclusion of online features for players to compete against each other means that it is a marked improvement over the last release of SoulCalibur II more than a decade a go. A great game with plenty to do, and now the opponents only limited by those online, this is a nice re-release that performs well on all fronts and provides exactly what fans can expect and able to hold up over the years.